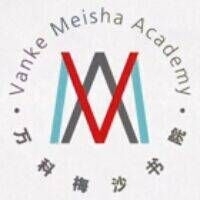 Vanke Meisha Academy is now accepting applications for a candidate pool for High School Science Teacher. Applicants for this position will be screened based on education, training, experience and other relevant factors. Once applications are screened, those applicants selected for further consideration will be contacted for an initial interview. Must be able to bend, stoop, reach, lift and stand for prolonged periods; see to read fine print and for depth perception; use hands and fingers to perform tasks; speak clearly and hear well enough to communicate effectively.